It is a truth universally acknowledged that a Melbournian with an ounce of sense must be in want of a stylish and quality brunch location. WOTS brings all of you foodies the very best this great city has to offer! 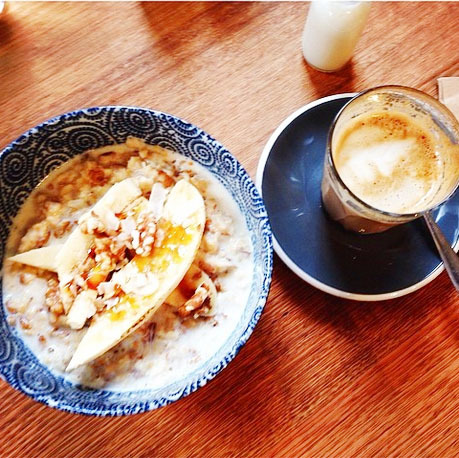 It is my self-proclaimed duty as a Melbournian to advise our dear WOTS readers about some of the trendiest brunch spots in Melbourne. 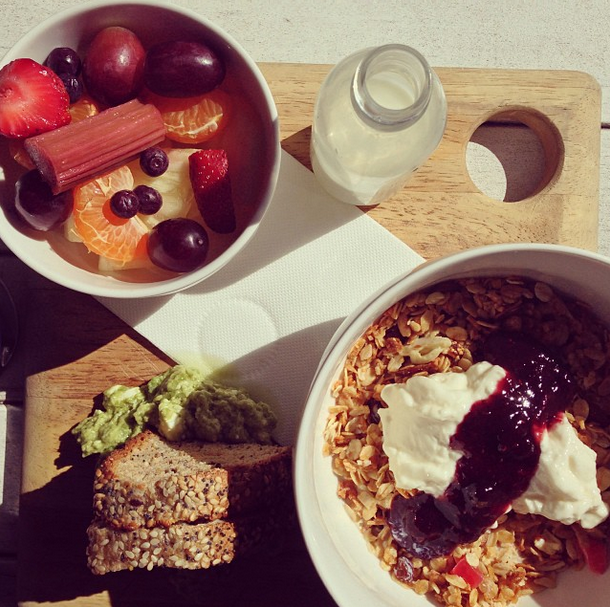 So here it is… The best of the best spots for daytime grazing in Melbourne ! Located down the end of a small lane lies a quaint little café that’s always sure to pull a crowd. 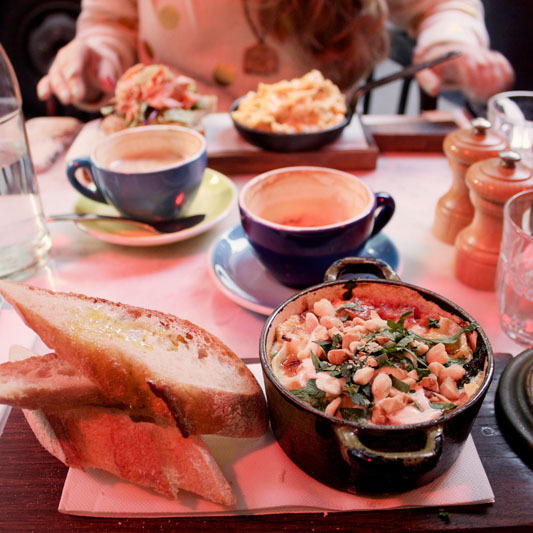 A well-known favourite for weekday breakfasts or a lazy Sunday brunch, The Hardware Societe’s mouth-watering food is like devouring dessert for breakfast. The baked eggs with chorizo is definitely a treat and a must have for brunch lovers. I truly can’t speak an ill word about the food, the service or the coffee. 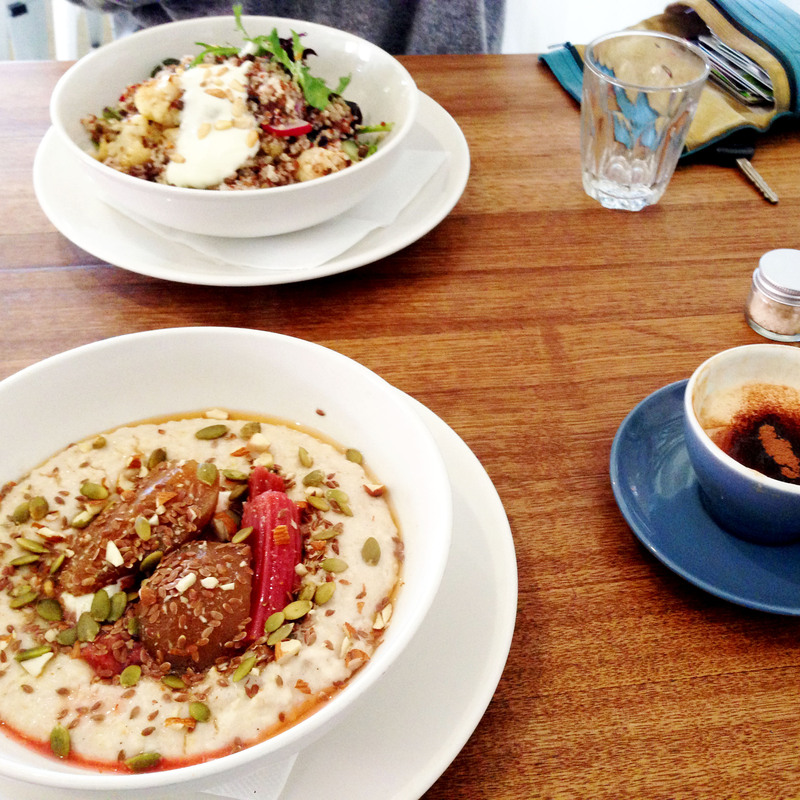 Touchwood is a spacious café located on the corner of Bridge and Burnely Road in Richmond. As the name suggests, Touchwood’s interior boasts plenty of wood. The pine décor stretches on throughout the café tables and onto the (sometimes) sunny deck area. Touchwood’s menu offers a tonne of tasty and unique dishes and I would strongly suggest the breakfast board or the peanut-butter and jelly waffles. 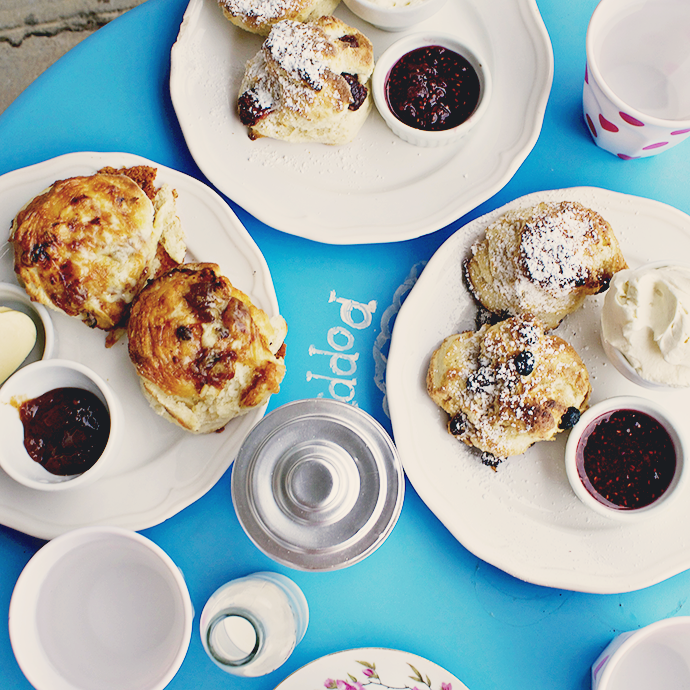 Jam and Cream combines modern kitsch with the charm of going to Nanna’s for a cuppa. It is quite simple but has the best scones in Melbourne. 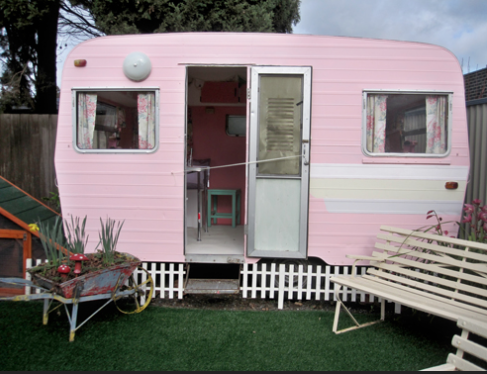 There ‘s charm oozing out of this little suburban café, from the nanna-vibe interior to the pink caravan in the garden used for additional seating. If you want a wide variety of teas and fuzzy childhood memories, I would suggest this place in a heartbeat for all your favourite homemade delights. In typical Fitzroy fashion, Mixed Business looks like a refurbished warehouse, which might have something to do with the buildings earlier use as furniture restorer. There is something special about this, as if the past still creaks in odd ways throughout the cafe. While the menu is small, what they serve they serve well. 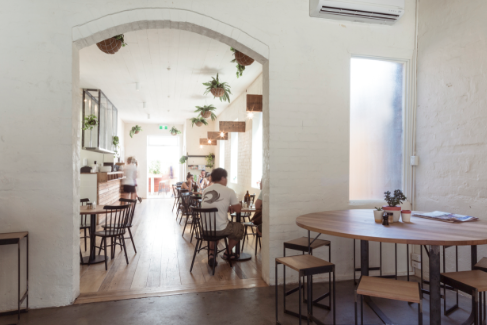 Mixed Business offers cheap, quality eats and a relaxed ambience that café’s closer to town cannot offer. This place is a Fairfield favourite and for a good reason. 15 pounds is probably the cumulative weight you will put on after gorging on the delicious food and coffee on offer there. With the breakfast menu ranging from homemade hash browns to hot cakes paired with a consistently good cuppa coffee, 15 Pounds is the perfect place to start your day. There is a real homely vibe at 15 Pounds, maybe it’s the rustic kitchen, the crates of fresh fruit and vegetables or the lemon tree in the courtyard. Either way, this little gem is definitely worth the trip to Fairfield. This entry was posted in Archives, BLOG, TASTE and tagged 15pounds, blogger, breakfast, brunch, cake, city, coffee, eat, eating, fitzroy, food, foodies, hardware societe, jamandcream, lifestyle, lunch, melbourne, mixed business, richmond, touchwood, victoria, Word on the Street Press, wordonthestreet, wots, yum. Bookmark the permalink.